This Asbestos Contractor/Supervisor Initial training course is for any individual who performs supervision of persons permitted to enter the restricted and regulated asbestos abatement work area. The supervisor is also responsible for performing the duties of the OSHA competent person for the asbestos project, consistent with current EPA and OSHA regulations. An Asbestos Contractor/Supervisor must have completed this training, and have a valid certificate with them at all times while working on qualifying projects. This workshop prepares you to immediately apply your knowledge to the field, with extensive hands-on training and real-world examples from experienced instructors. It combines lectures, discussions, and hands-on demonstrations. 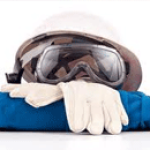 Safe work practices, liability, and glove bag procedures are examined in detail. 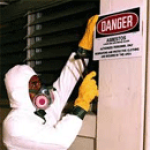 Training for asbestos abatement professionals is required under the Asbestos Hazard Emergency Response Act of 1986 (AHERA), which is the authority under which EPA issued the EPA Asbestos Model Accreditation Plan. This course has been granted full approval by the EPA and various States to meet AHERA and ASHARA accreditation requirements for asbestos work in K-12 schools, as well as in public and commercial buildings. Please Note: Your state has detailed education, experience and application processing requirements to qualify for licensing in the Asbestos field. Most states administer their own asbestos programs, and each state's Department of Environmental Protection/Health is generally the best place to start with questions about requirements and training. Students are responsible to verify these requirements prior to registering for a course. Certificates 4-7 days after course completion for in person courses. Food Breakfast provided for in person courses. Individual Exam And Fees If you wish to become an Asbestos Contractor in California, you must apply for and pass California State License Board (CSLB) exam for Asbestos Certification C-22 License ($75 fee). Company Application Requirements Registration with Cal/OSHA is required for contractors and employers that remove asbestos having an asbestos fiber content of more than 0.1% and 100 square feet or more of surface area of asbestos-containing material. 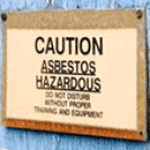 Contractors should contact the Cal/OSHA Asbestos Unit at: ACRU@dir.ca.gov and request an application package. This will provide the applicant with the most specific and complete information needed to complete the application process. The applicant will also have to contact the Contractor's State License Board (CSLB) to apply for the appropriate license or certification. Contractors that are seeking a DOSH registration for roofing only can obtain an asbestos certification or ASB. Contractors that are seeking an unrestricted DOSH registration must have a C-22 license from CSLB. The C-22 can only be obtained when the contractor is concurrently in the process of receiving their DOSH registration. Public and private employers performing work on their own property do not need a CSLB license, but do need Cal/OSHA registration. Refresher Training Applicants must successfully complete a refresher course in the same discipline as their initial course. Refresher training is annual. Refresher is a 1 day, 8 hour course. Registrants must reapply each year to renew their registration and obtain a new certificate. During the renewal their Cal/OSHA compliance history over the past year and other information bearing on their ability to provide a safe and healthful workplace will be reviewed. Below are the most recent student reviews for previous Asbestos Contractor/Supervisor Courses. The instructors did an excellent job with the way they taught the class. They both have so much experience and a wealth... The instructors did an excellent job with the way they taught the class. They both have so much experience and a wealth of knowledge which is mandatory when teaching new people in the field. I learned more in the 5 days in this course than I would have anywhere else. Very informative class information was presented in a way easier understand combining classroom time with practical time... Very informative class information was presented in a way easier understand combining classroom time with practical time made it easier to absorb the information. This was a great class! This was a great class! Both Al and Tony did a great job. Would recommend class to others. Both Al and Tony did a great job. Would recommend class to others. Great class, good instructor. Great class, good instructor. Great course, lots of valuable information for both construction contractors and industrial industry. Great course, lots of valuable information for both construction contractors and industrial industry. Robert was full of knowledge, very well-spoken, and point driven. I believe all students who come through him will be very... Robert was full of knowledge, very well-spoken, and point driven. I believe all students who come through him will be very pleased and retain all the information at hand. The class and instructors were fantastic. I was inspired to learn and go over all the material presented. I would recommend... The class and instructors were fantastic. I was inspired to learn and go over all the material presented. I would recommend to anyone! Excellent class. Great instructor. Looking forward to the next course. Excellent class. Great instructor. Looking forward to the next course. Great teaching by Al and Sam - keep up the great work! I came here not knowing anything about the Asbestos world, but Al... Great teaching by Al and Sam - keep up the great work! I came here not knowing anything about the Asbestos world, but Al and Sam gave me so much knowledge within the 40 hrs course, that now I'm certified! I now have the confidence to do a great job out In the field. Thank you once again! We had 3 different instructors and the course handouts were not in order with the presentations so we had to do a lot of... We had 3 different instructors and the course handouts were not in order with the presentations so we had to do a lot of flipping in the 500 page book and 200 page handout. Sam did a great job. I was very happy and learned a lot during the class. Sam did a great job. I was very happy and learned a lot during the class. Great class! Entertaining and educative. I learned a lot ... Instructor was great. Great class! Entertaining and educative. I learned a lot ... Instructor was great. The course was good the second half of the week. It was spararatic and not structured in the beginning. Multiple instructors... The course was good the second half of the week. It was spararatic and not structured in the beginning. Multiple instructors is not a good way to run a training. Class Instruction was excellent. Instructors offered real world examples and were great presenters. My only comment would... Class Instruction was excellent. Instructors offered real world examples and were great presenters. My only comment would be ensuring an ontime start date for this 5day course. Travel and Lodging for a day of no instruction is cost prohibitive. Losing an 8 hour day is a big hit in the consulting world. A back up plan for an alternate instructor would be a plus. Me and my brothers are very happy we have learned a lot of information with this course we will go for the next course with... Me and my brothers are very happy we have learned a lot of information with this course we will go for the next course with your agency. I have learned a lot of information will take another course. I have learned a lot of information will take another course. Founded in 1989, NATEC International, Inc. is one of the largest training companies in California and has celebrated twenty-five years of providing accredited hazardous material related training courses. We offer classroom facilities in Northern and Southern California and hold numerous publicly held classes. The NATEC staff consists of the largest instructor base in California, supporting our clients' challenging schedules with experienced and knowledgeable instructors, which is comprised of CIH's, Certified Asbestos Consultants, and Lead Paint Inspector/Risk Assessors.